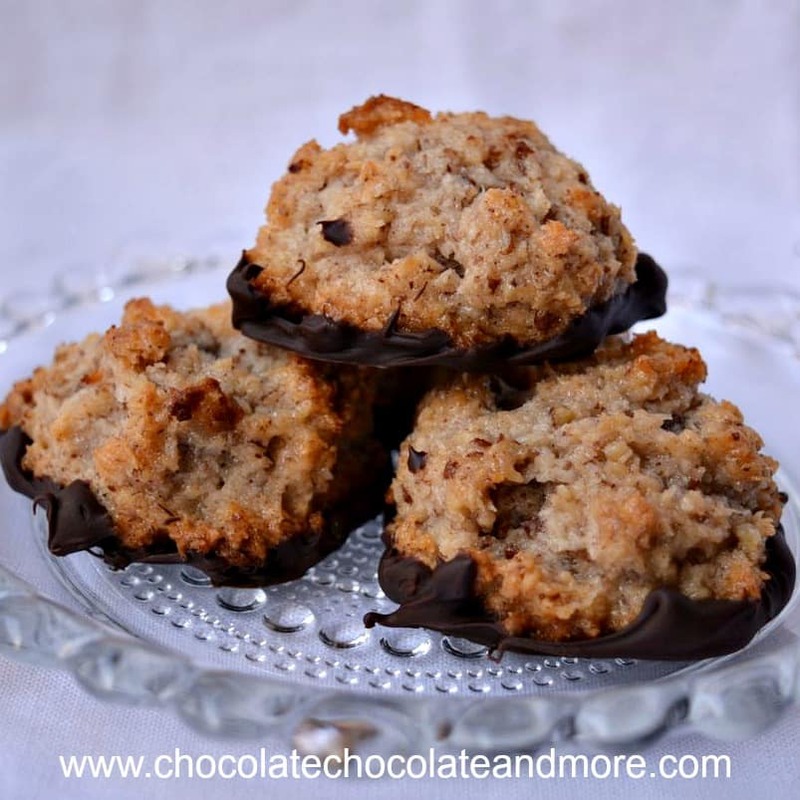 Pecan Macaroons - Chocolate Chocolate and More! 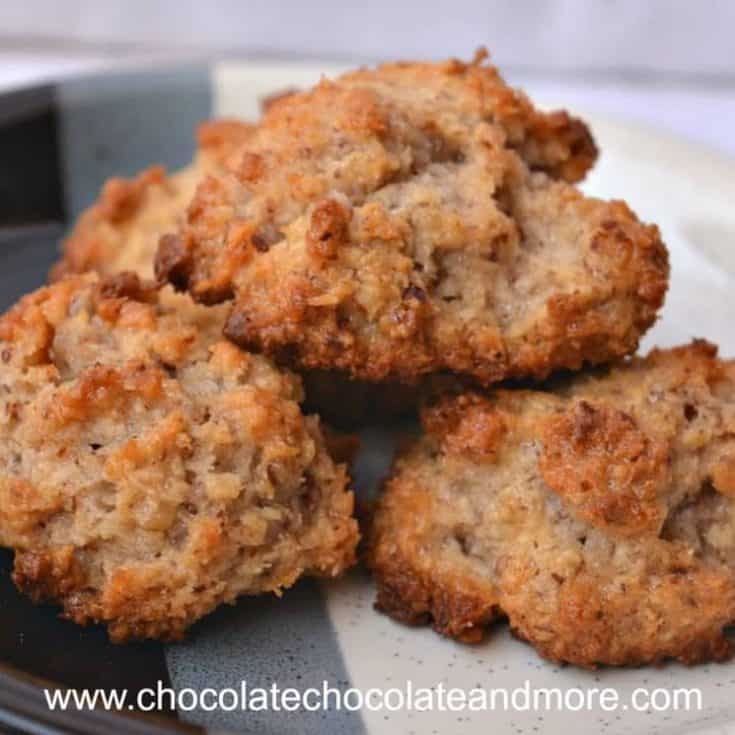 Ground pecans take these Pecan Macaroons to a whole new level. Try this simple recipe for a twist on an old favorite. I love living in Austin. Our house is in an old neighborhood with lots of older people who raised their kids back in the 50’s and 60’s. When I bought it, my friends commented that it looked just like the house I grew up in. I moved into our house when Becky was just 5, Tim was 7, and Matt was 10. A few days after we moved in, an older couple came over to give my kids permission to cut through their yard to play in the creek that runs behind their house. So my kids spent many weekends and summers exploring the creek. I loved that they had the freedom I had when I was a kid even though I sometimes worried about what they might find in the creek. Fortunately, my neighbors also kept an eye on things so I received warnings when my neighbors saw anything dangerous (like snakes). We also enjoy the amazing food in Austin. There are so many great places to eat. Some of our favorites are Hopdoddy for hamburgers and fries, Central Market for live music with wine and cheese and Chez Zee for creme brulee french toast and desserts (I’m working on my own version of creme brulee french toast for a future post). A long time ago, I had some macaroons from the Pecan Street Cafe. Back then it was the Pecan Street Bar and Grill and was known for its steaks. I love macaroons but these macaroons are better than any I’d had before. It took eating four macaroons (OK, maybe it was a few more) to figure out the difference – ground pecans. Such a simple change makes great macaroons out of this world delicious. 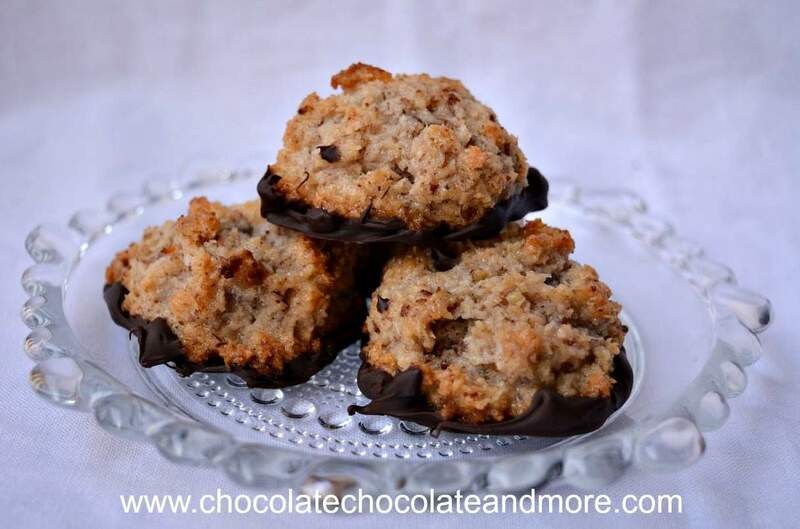 Dipping the bottoms of pecan macaroons in dark chocolate makes them even better. Mix together pecans, coconut, vanilla and sweetened condensed milk. Fold in stiffly beaten egg whites. Drop by heaping teaspoonfuls onto a cookie sheet lined with parchment paper. Bake at 325°F for 20-25 minutes until tops are golden brown and bottoms are browned. Let cool on pan. Store in an airtight container. Optional: Dip bottoms in melted chocolate and return to the parchment-lined pan. Refrigerate 10-15 minutes to solidify the chocolate. 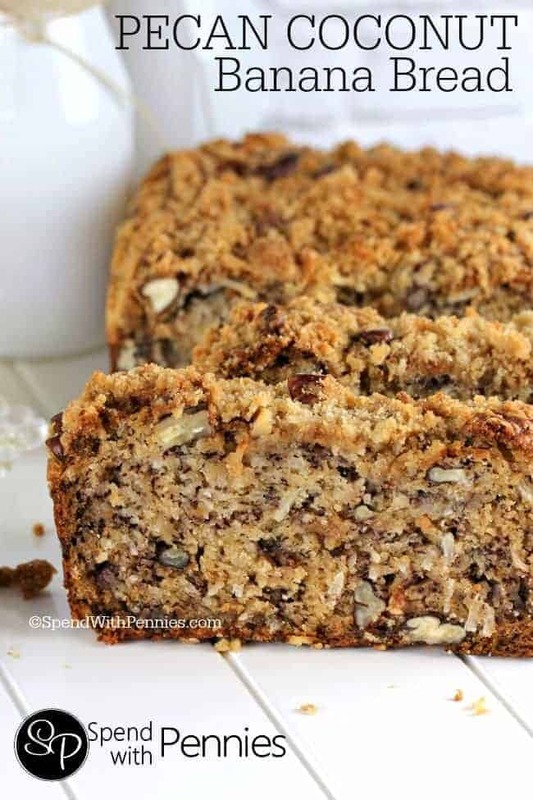 If you like pecans and coconut, you might also like this Pecan Coconut Bread from Spend with Pennies. 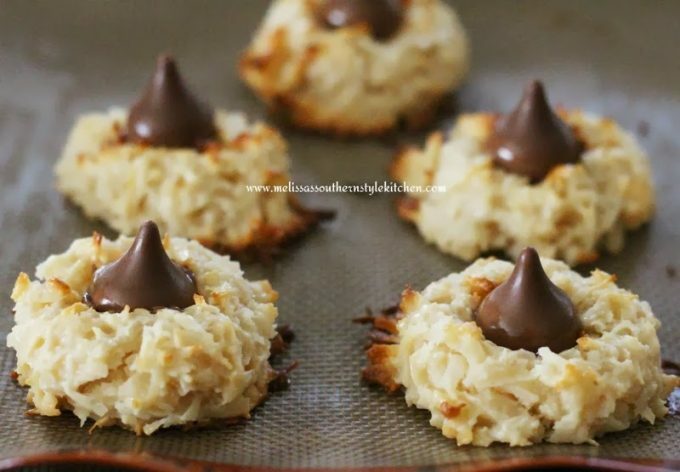 Or, if you’d like some fun macaroons with Hershey’s kisses, try these Chocolate Kissed Macaroons from Melissa’s Southern Style Kitchen. I LOVE this idea! I looove pecans and putting them in macaroons sounds perfect! I wish I could take the credit. They were really yummy at the restaurant and so easy to figure out. Hope you enjoy them! The answer is it depends on how large you make your macaroons. I put about 2 heaping tablespoons per macaroon and came out with a little over 2 dozen macaroons (about 30). These look amazing! Austin is a fun city!